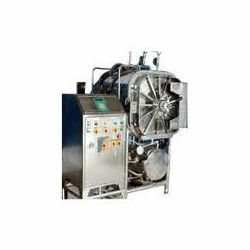 With the Super efficiency of our experienced professionals, we have been able to design and develop a sustainable range of Lab Autoclaves. These high quality products are fabricated in well segregated premises and by employing advanced techniques. These are manufactured using excellent quality raw material, which is procured from the leading vendors in the market in various designs and shapes as per the customization need of the clients. Inner chamber is made of SS .Jacket, Outer Chamber, lid ring, radial system, piping and Boiler are made of SS 304. The pressure is controlled by pressure stat and indication by temp. gauge also provided with all safety norms as per IS standards. 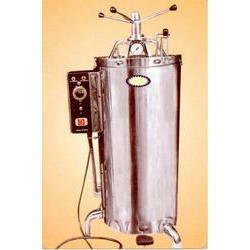 Glycerine filled SS gauges are provided at top for chamber & jacket. Control panel is complete with on/off switches, indicators. Supplied with complete IQ, OQ & PQ documentations. 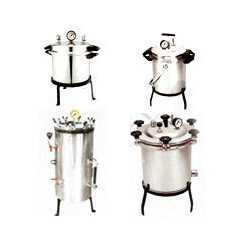 We offer Laboratory Autoclave, which are made from stainless steel and helps to fight the spread of infections. 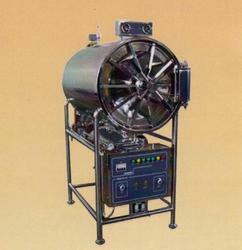 These are extensively used where contamination objects requires sterilization. 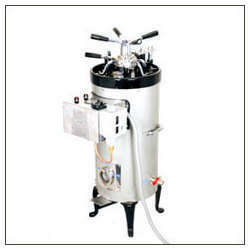 We offer Vertical Autoclave that is used for sterilizing culture media, glassware, utensils instruments etc. In steam pressure. Outer body is made of thick mild steel sheet finished with cream enamel paint. Inner chamber is made of thick stainless steel. The chamber is absolutely leak proof & can be operated at any selected point in between 5 to 20 pounds per sq. ft. It is provide with safety valve pressure gauge, pressure release valve, water level indicator with cord & plug. The lid made of thick mild steel with stainless steel lined inside duly polished. The lid is tightened by radial locking ribs by a control handle provide at the top. When pressure reaches at the pre-set point,alarm start raising itself and heater off automatically and when the pressure falls down upto 0.5 PSI,the heater start & functioning again automatically and alarm stop itself. SSE -38/A 12” Diax20” Depth 10” Diax17” Depth 3.0 K.W. SSE -38/B 16” Diax24” Depth 14” Diax20” Depth 4.0 K.W.